Higher Consciousness in E-books.. at last! 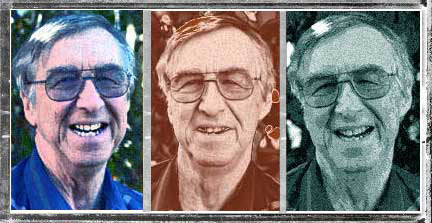 We are pleased to provide the digital titles of pioneering consciousness researcher Charles T. Tart, Ph.D. under the Fearless Books imprint. Three of his mind-changing, classic works are now available in multiple digital formats at the links below. Two of them are also available in print. 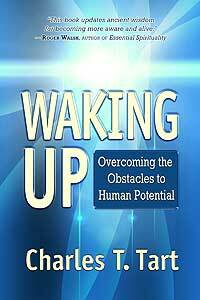 WAKING UP: Overcoming the Obstacles to Human Potential. "What could we not do if we were truly awake?" asks Dr. Tart in this provocative and revolutionary book. Based on the ideas of rogue philosopher G.I. Gurdjieff, this book offers both a diagnosis and helpful prescriptions for addressing the fundamental yet unrecognized problem of humankind: we are not truly awake, aware, and making use of our full capacities. 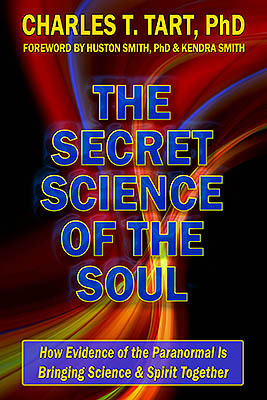 THE SECRET SCIENCE OF THE SOUL: How Evidence of the Paranormal Is Bringing Science and Spirit Together. This book presents a systematic argument about how the evidence from parapsychology shows that it's sensible to be both scientific and spiritual in your orientation to life. Originally published in hardcover as THE END OF MATERIALISM (Noetic Books/New Harbinger, 2009) the new paperback and digital editions can be pre-ordered now for delivery on Sept. 1, 2017. Charles T. Tart, Ph.D., is internationally known for his psychological work on the nature of consciousness, particularly altered states of consciousness — as one of the founders of the field of transpersonal psychology — and for his research in parapsychology. His two classic books, "Altered States of Consciousness" (1969) and "Transpersonal Psychologies" (1975), were widely used texts that were instrumental in allowing these areas to become part of modern psychology. Besides Altered States of Consciousness (1969) and Transpersonal Psychologies (1975), Dr. Tart's other books are On Being Stoned: A Psychological Study of Marijuana Intoxication (1971); States of Consciousness (1975); Symposium on Consciousness (1975, with co-authors); Learning to Use Extrasensory Perception (1976); Psi: Scientific Studies of the Psychic Realm (1977); Mind at Large: Institute of Electrical and Electronic Engineers Symposia on the Nature of Extrasensory Perception (1979, with H. Puthoff & R. Targ); Waking Up: Overcoming the Obstacles to Human Potential (1986); Open Mind, Discriminating Mind: Reflections on Human Possibilities (1989); Living the Mindful Life (1994) and Body Mind Spirit: Exploring the Parapsychology of Spirituality (1997), which looks at the implications of hard scientific data on psychic abilities as a foundation for believing we have a real spiritual nature. 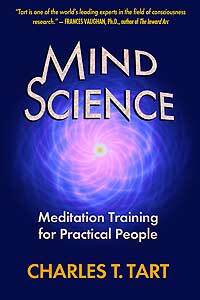 His 2001 book, Mind Science: Meditation Training for Practical People presents mindfulness training in a way that makes sense for science professionals, and his most recent book, The Secret Science of the Soul: How Evidence of the Paranormal is Bringing Science and Spirit Together integrates his work in parapsychology and transpersonal psychology to show that it is reasonable to be both scientific and spiritual in outlook, contrary to the widely believed idea that science shows that there is nothing to spirituality. He has had more than 200 articles published in professional journals and books, including lead articles in such prestigious scientific journals as Science and Nature. Not just a laboratory researcher, Dr. Tart has been a student of Aikido (in which he holds a Black Belt), meditation, Gurdjieff's Fourth Way work, and Buddhism. He has been happily married for more than 50 years and has two children and two grandchildren. His primary goal is still to build bridges between the genuinely scientific and genuinely spiritual communities, and to help bring about a refinement and integration of Western and Eastern approaches for knowing the world and for personal and social growth.